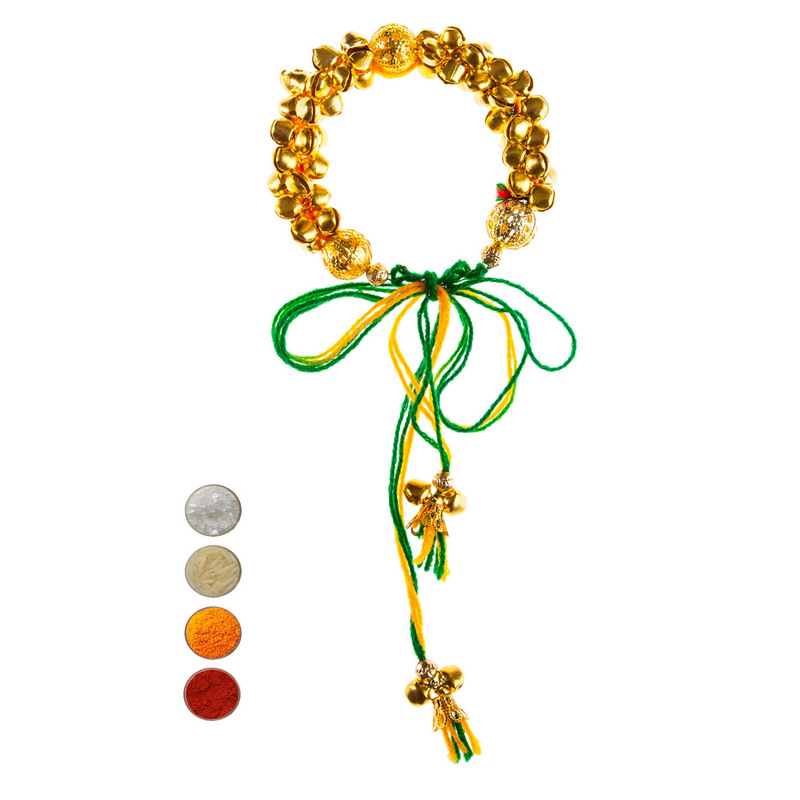 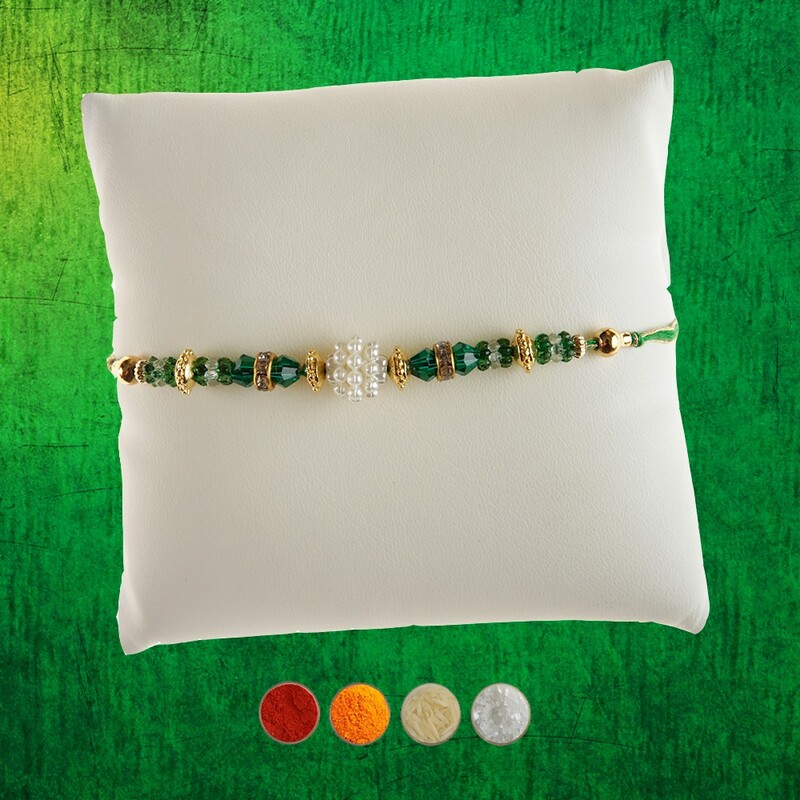 This is a beautiful set of 5 designer rakhis skillfully crafted and designed with attractive beads, diamond aura premium stones, golden & yellow beads, Rudraksha, pearls, etc in very attractive rakhi threads. 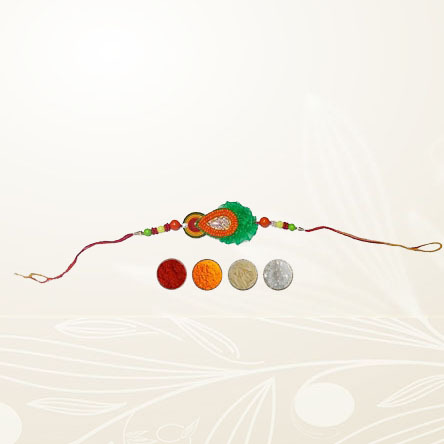 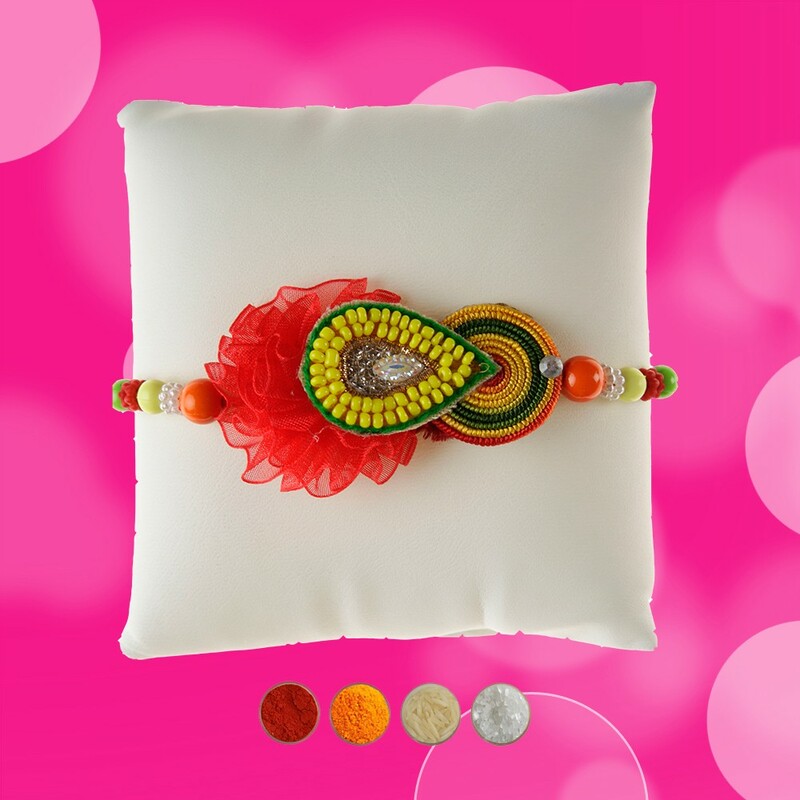 Convey your love and wishes to your sweetest and dearest brothers sending these beautiful very attractive designer rakhis. 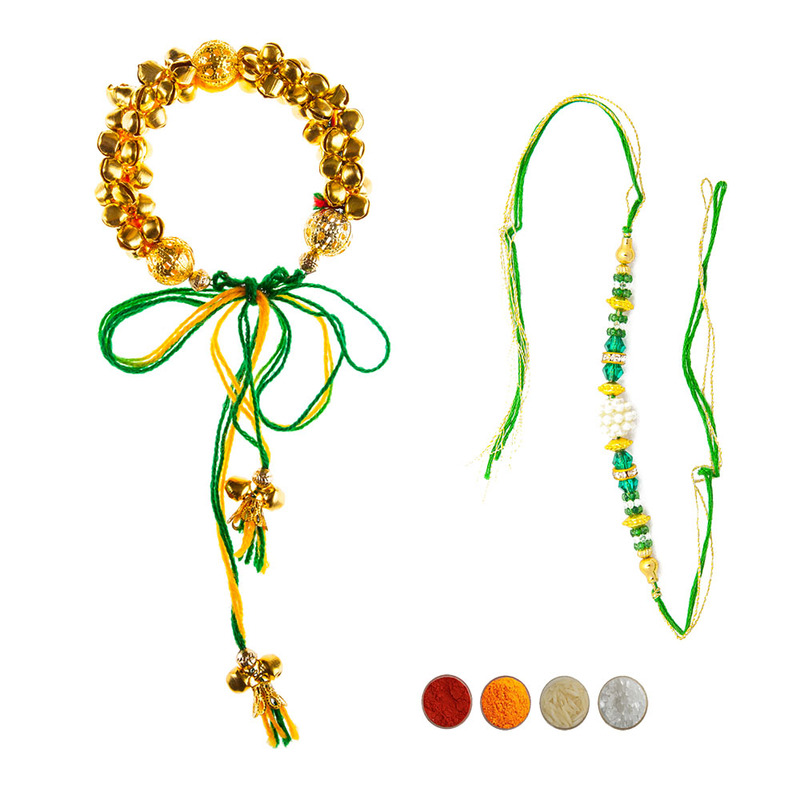 This set would be a perfect rakhi option if you are looking for rakhis for your five dearest brothers. 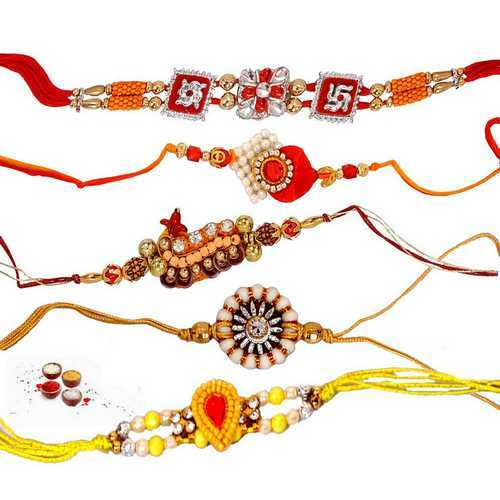 We are offering these rakhis with complimentary Roli, Chawal, Chandan and Mishri in very attractive pack.